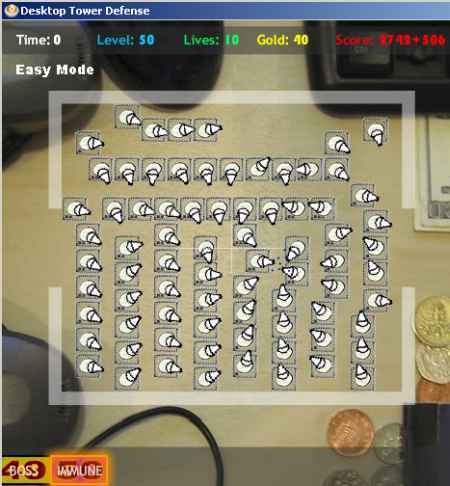 No wonder it was rated as one of the most addictive flash games in history. My friend recently gave me a copy of it and it’s so simple and fun to play that it has been gaining on-screen time on my laptop. And since you are here, allow me to post a screenshot of my *tiny* achievement standing all the 50 waves in the easy mode. Impressive huh? Hopefully this tactic can still work in the normal and hard mode. Coincidentally, I find this game adopt the same concept of the popular Warcraft Dota Allstars map, where you will have to fight and defend your towers to stop enemies from attacking your base. Do you have a favortite flash game that you would recommend too?